What would I do without “The Chalkboard Stack” by DCWV to make signs? 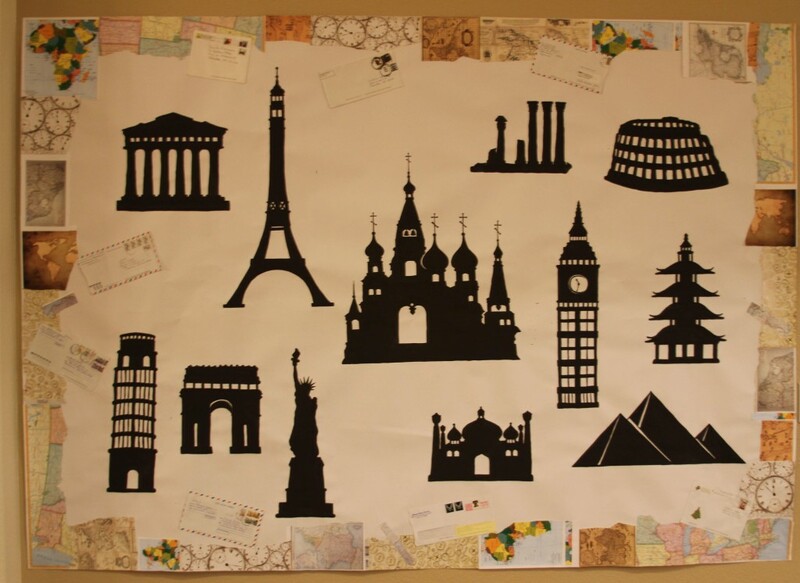 The 12×12 paper is just like a chalkboard, but you can easily cut it! If you need some too, go to dcwv.com or google 5DW-CHLK12x12 to find it at Stampington & Co. I don’t get paid for mentioning it; I just know it isn’t easy to track down. 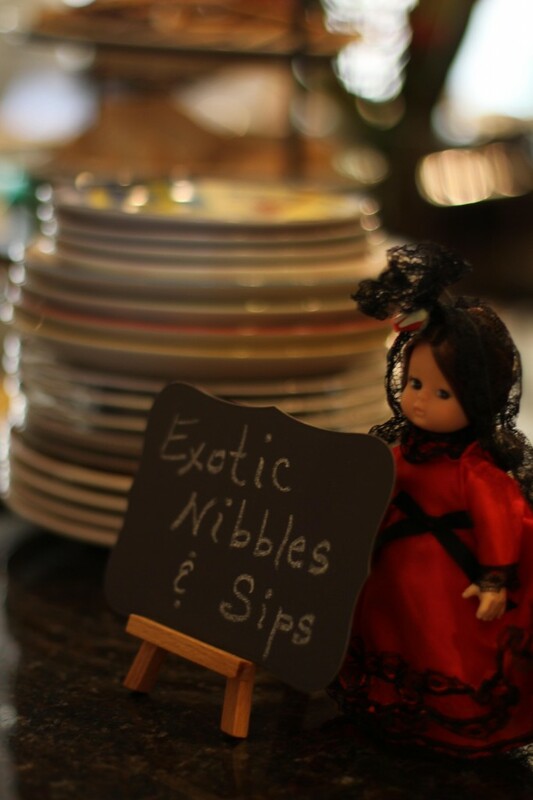 The yummies at our international party were served on my eclectic collection of ceramic plates. I admit that I collected several more just before this event. Half were on sale! The other half… Well… I’m incorrigible! 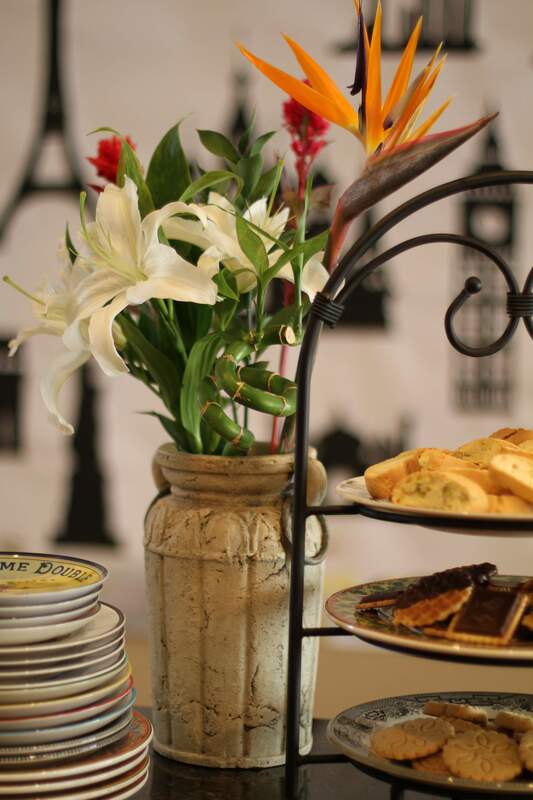 I provided cookies from Cost Plus World Market and beverages, and asked each guest to bring an edible item that represented her culture, if possible. All the food was scrumptious!!! Back row: Nancy from Puerto Rico, Ji Hyun from South Korea, Liyun from China, and Aliona from Kyrgyzstan. Front row: Robin (me) from the USA, Essie from Zambia, Lana from Ukraine, Judy from China, and Faith from Iraq. As people came and went, mingled and munched, we occasionally posed for a photo. 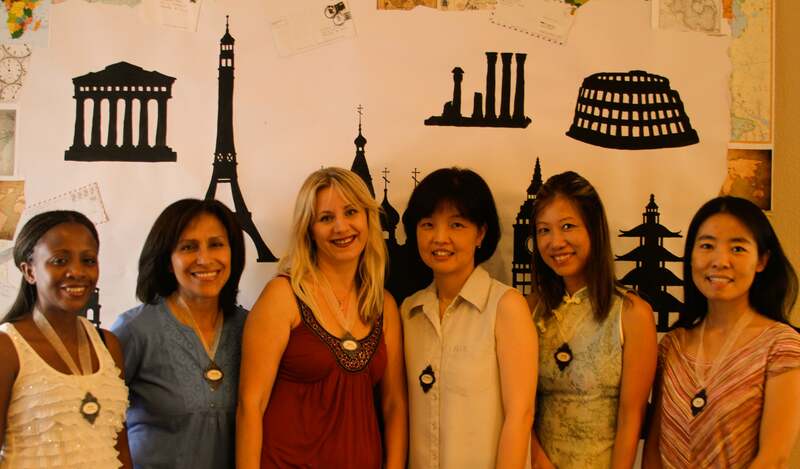 Left to right: Lana, Yuko from Japan, Essie, and Nancy. 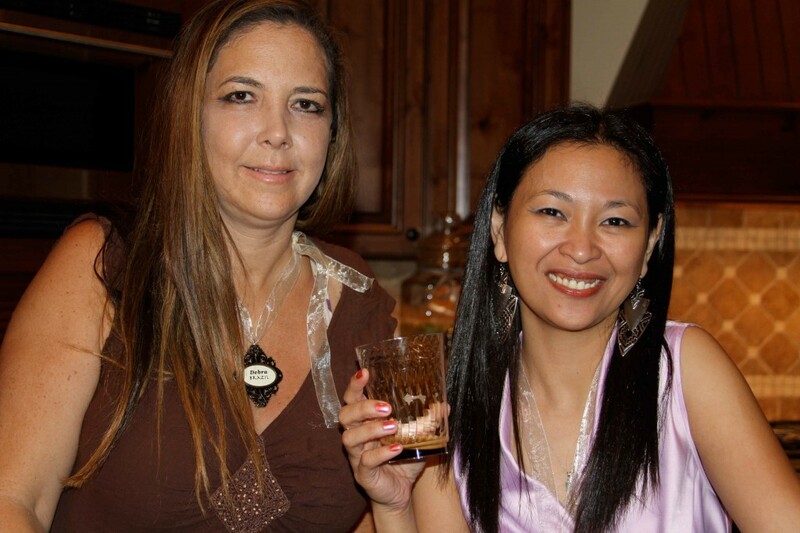 Debra from Brazil and Citadel from the Philippines. 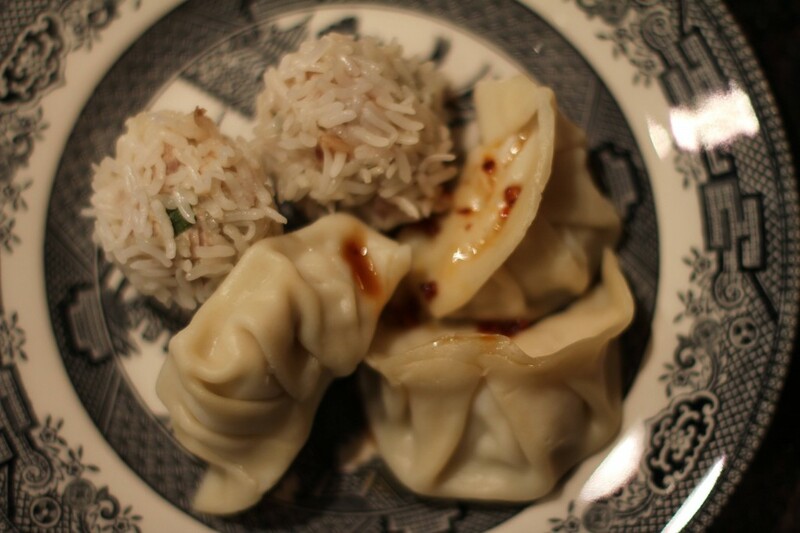 Chinese pork rolls and dumplings came to the party! 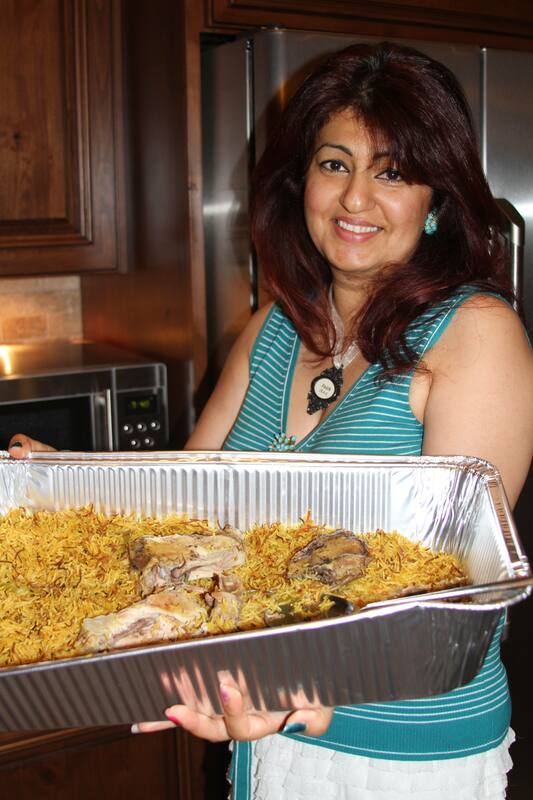 Here is Faith with her curry chicken and rice! 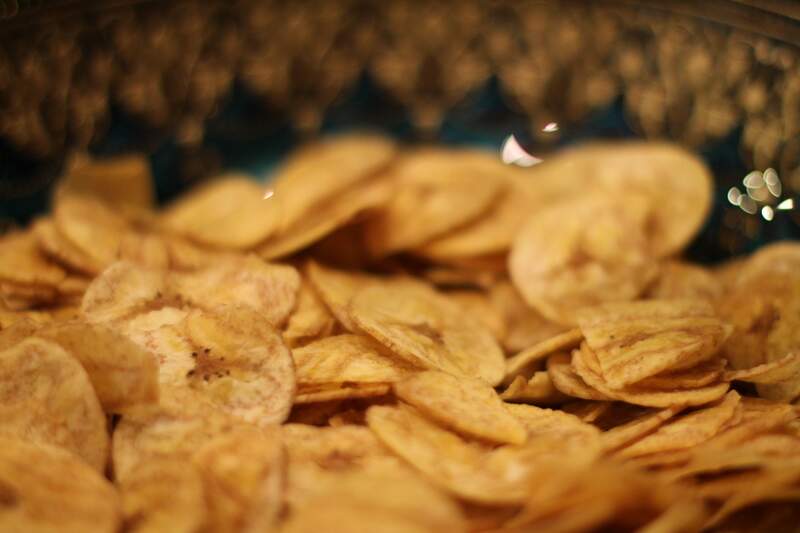 Dried plantains! They taste like potato chips! There was even more tasty food not seen here in pictures. What a feast! What happy tummies! And the Middle Eastern music started to affect people… especially these people. Aliona from Kyrgyzstan and Faith from Iraq enjoy the rhythms. Judy, Faith, Michele from the USA, Essie, and Aliona. Soon, we would have to go our separate ways again. Time for another pose! Standing, from left: Yuko, Citadel, Lana, Judy, Michele, and Aliona. Faith and Aliona figure out how to keep in touch. Don’t forget a treat bag to take home! 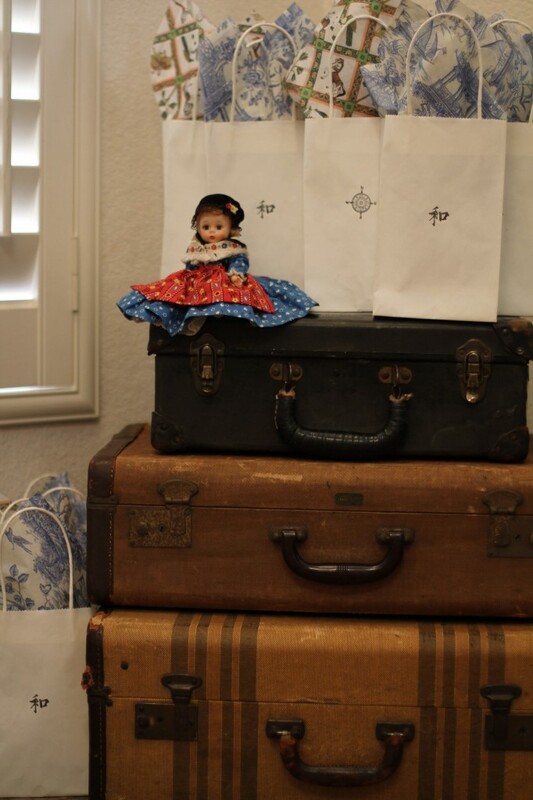 I simply stamped white kraft bags, supervised my children as they filled them with wrapped candies from Cost Plus World Market, and added some tissue paper. Planning for this happy evening was fun. 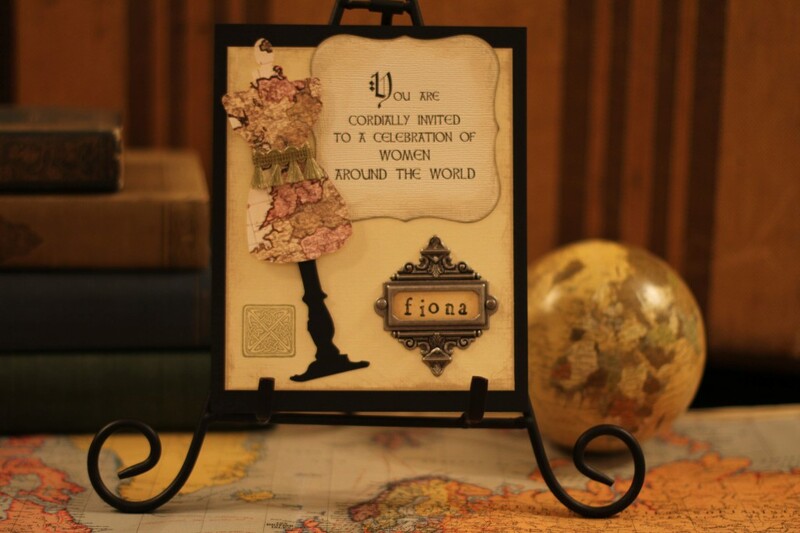 I absolutely love to brainstorm ideas and create pretty things to share. Then, hearing the chatter and laughter as my friends (new and old) partook of all that was gathered to enlighten and refresh us… It was a pleasing song to my ears. So many fascinating people to know! So many ways to celebrate and show gratitude for this wonderful life! As the day of my international party sped closer and closer, several of the invitees that had planned to come wound up with situations that kept them from attending. While I whole-heartedly agree that their first priority is to their families, my heart broke a little each time someone gave me the bad news. My husband Kerry offered great advice though: focus on those who can come, and create a memorable, worthwhile occasion for them. I set out to do that. I attempted to write the word “Welcome” at least somewhat accurately on my door sign in nine of the languages I expected to be represented. I rearranged some of the furniture and wall art. (Kerry didn’t actually mean that I should do that.) I picked up a few foreign-looking trinkets at a flea market. I splurged on exotic fresh flowers. I can barely imagine any party I would throw without fresh flowers that complement the theme. Soon it was August 18th, 2012. Time to hang up the welcome sign and let people in! It was so exciting each time someone came to the door! Who would it be? Where would she be from? You’ll get to see who came in a moment, but first…. 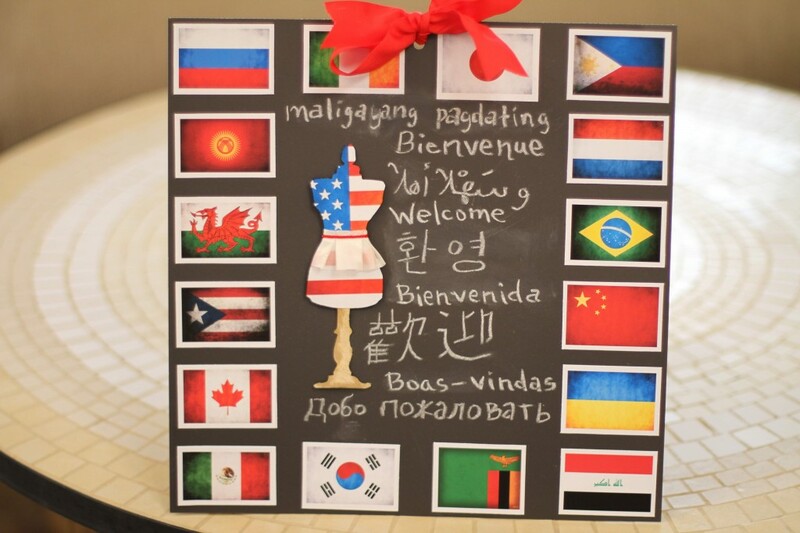 Would you like to know which nations were represented that evening? 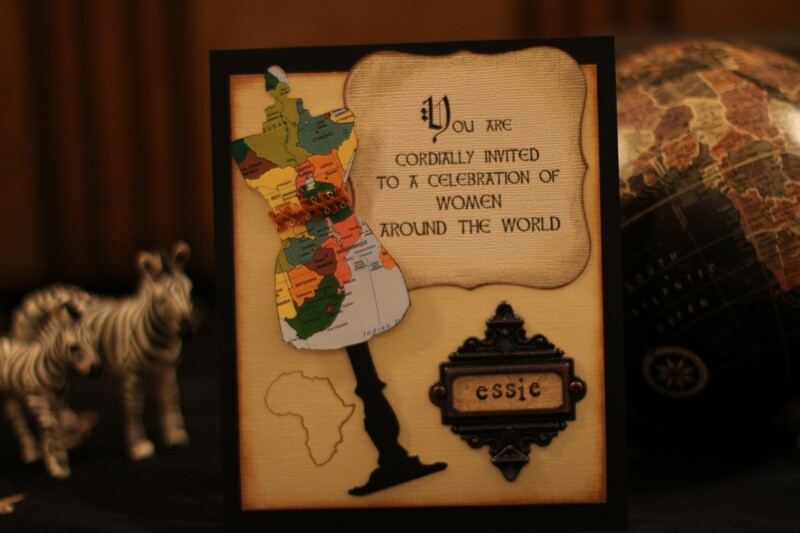 We spanned the globe with a grand total of 10 countries plus one U.S. territory, from 5 continents and 3 islands. 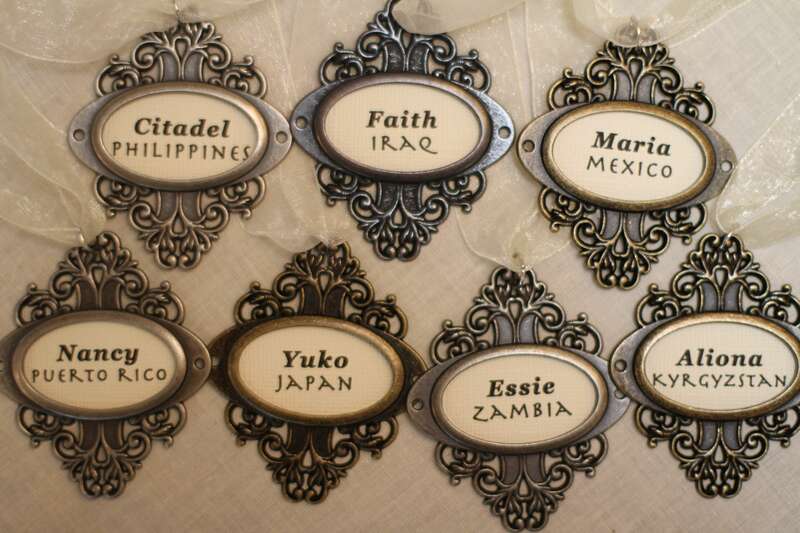 Here’s the list: Brazil, China, Iraq, Japan, Kyrgyzstan, Philippines, Puerto Rico, South Korea, Ukraine, USA, and Zambia. 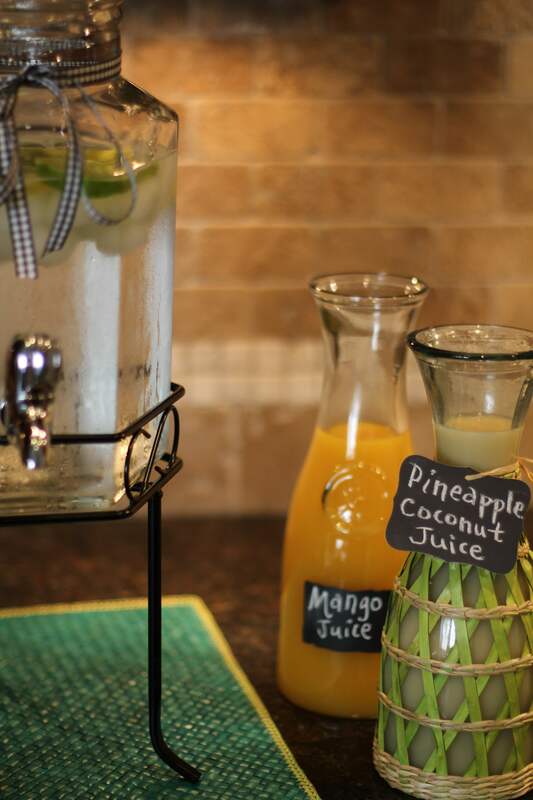 I wanted my guests to feel not only welcome, but energized and inspired too. I was determined to engage all their senses. 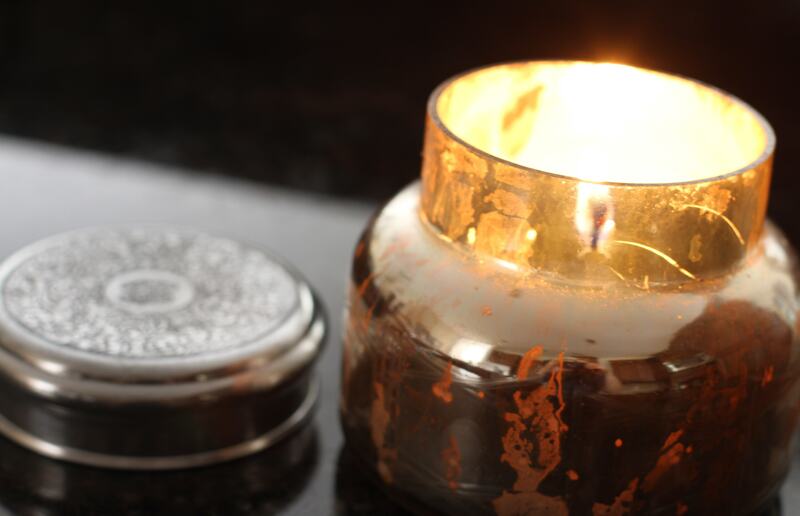 As they entered my home, they were greeted with the aroma of an exotic candle from Anthropologie and the sound of Middle Eastern, Celtic, or French music guiding them further in. 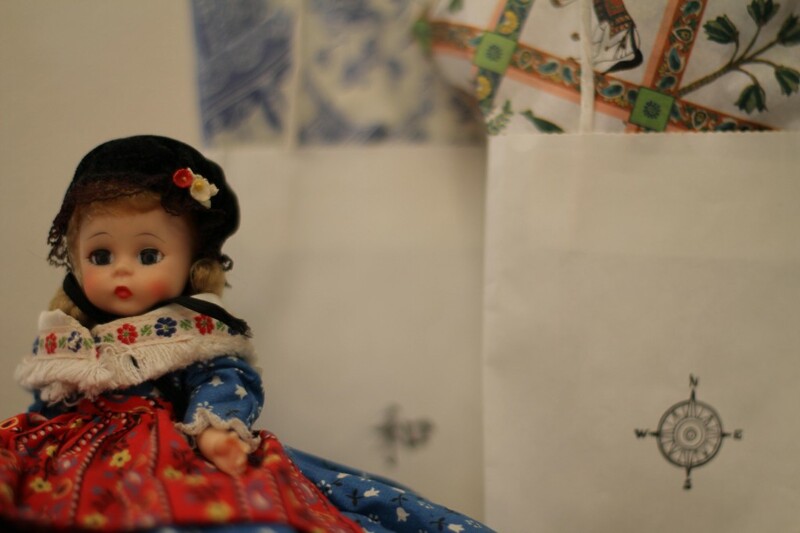 The visual feast was prepared mostly by those who came with items from their native lands or travels. 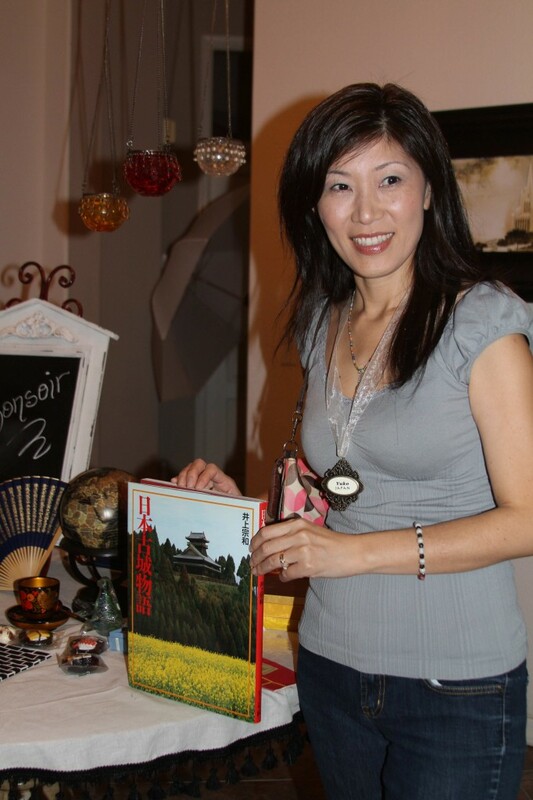 Here is Yuko from Japan, showing a book she brought. 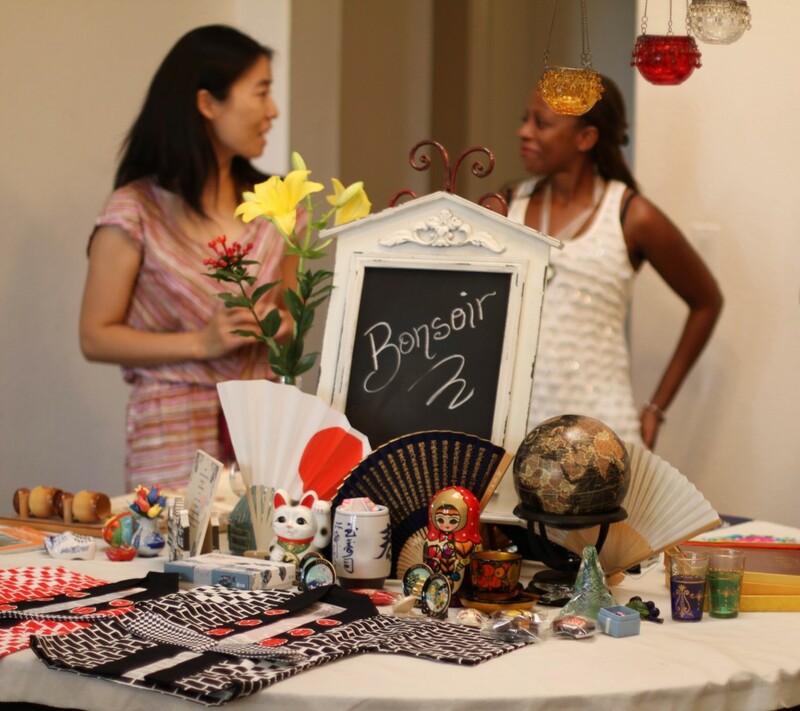 Liyun from China and Essie from Zambia chat by a table filled mostly with items owned and arranged by Michele. Why didn’t I think to get a picture with Michele in front of it also? I don’t know. But you’ll get to see her in the next post. 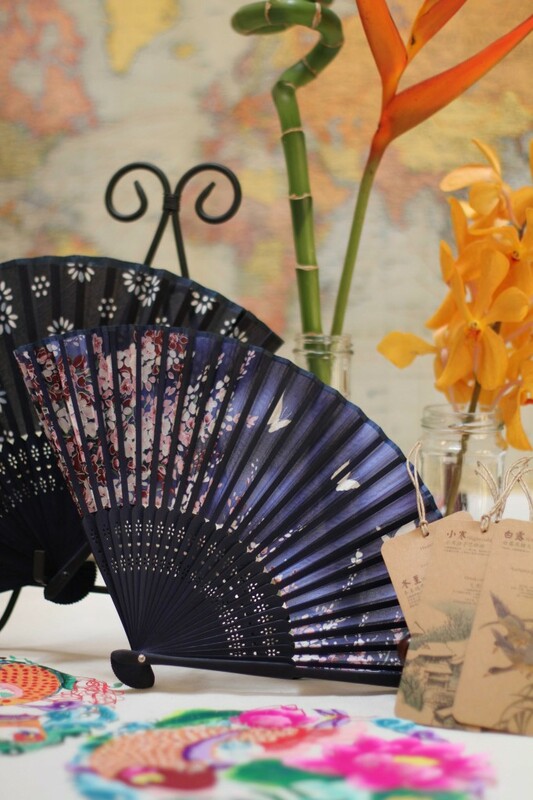 One of the three Chinese women who were invited couldn’t be at the event, but she graciously offered to lend me a bag of several gorgeous delicate items that we all appreciated. Thank you, Jane! Citadel from the Philippines enjoys the mini museum that my house became. 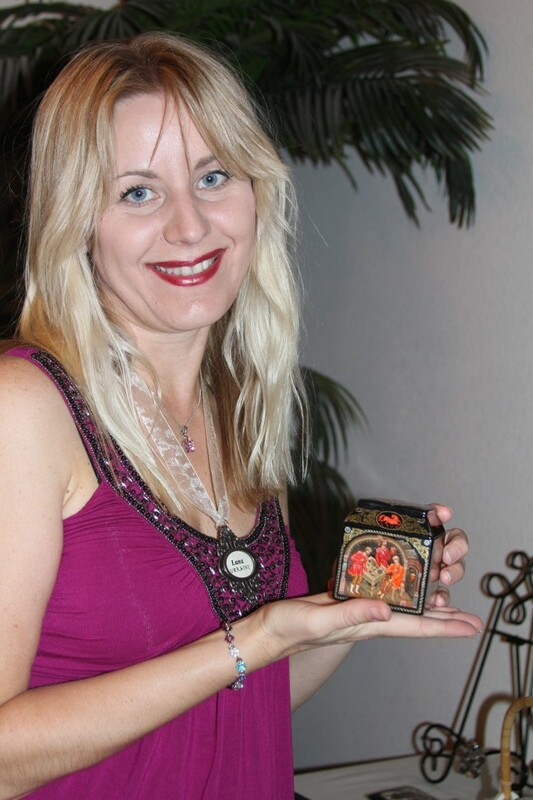 My mind-blowingly talented friend Svetlana “Lana” Alden from Ukraine brought a table full of items that she displayed. Several were things she had made herself, including tiny boxes with intricate hand-drawn, hand-painted scenes. Yes, she really painted these! I met Lana in an art class a couple years ago. I was there to actually learn as much as I could. She was there to simply enjoy a little time to paint. Our instructor wanted to purchase some of the work she did in class. I asked Lana to paint a mural with iconic buildings from around the world for the party. This picture shows the mural’s size, plus several lovely guests! From the left, we have Essie, Nancy from Puerto Rico, Lana, Ji Hyun from South Korea, and Judy and Liyun, both from China. 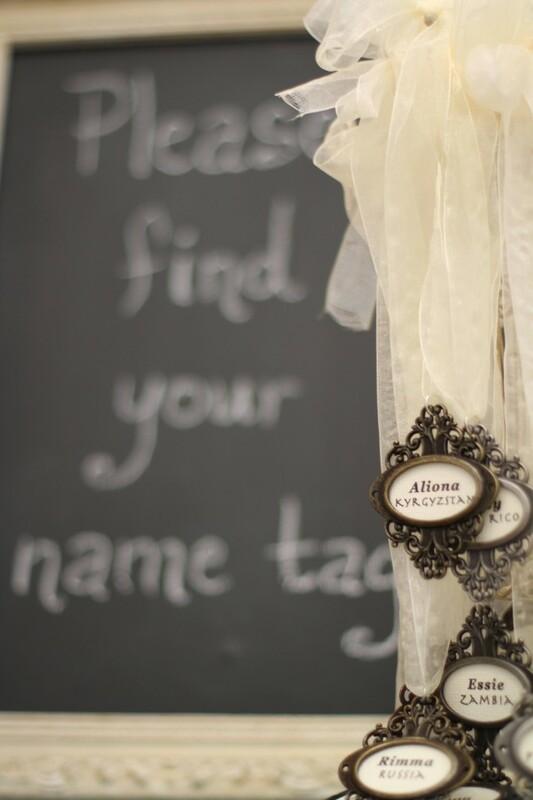 Since everyone would be meeting at least a few new people that evening, I made name tag necklaces by looping a jump ring through Tim Holtz’s “ornate plates” from his Idea-ology line of products. Next, I threaded ribbon through the jump ring. I kept the ribbon long so each woman could tie the necklace at the length she chose. Every woman likes to have choices about the jewelry she wears! 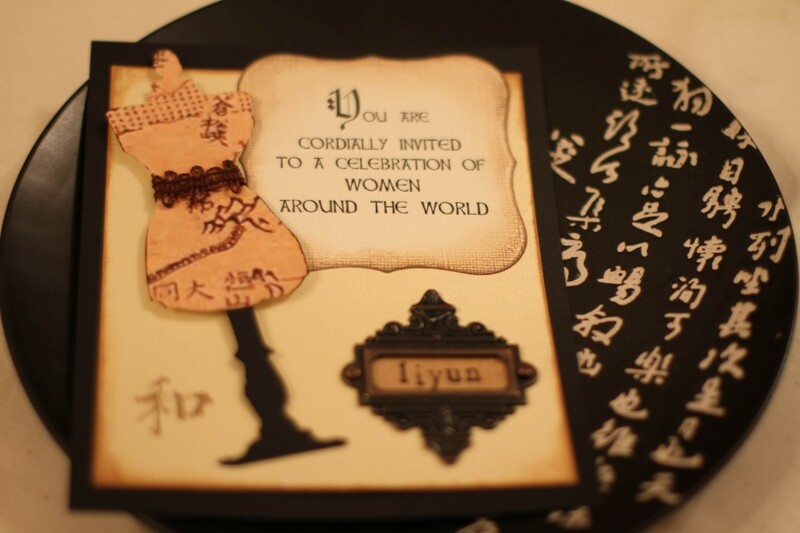 By the way, I used half of each pack of ornate plates for the invitations, seen in the last post. 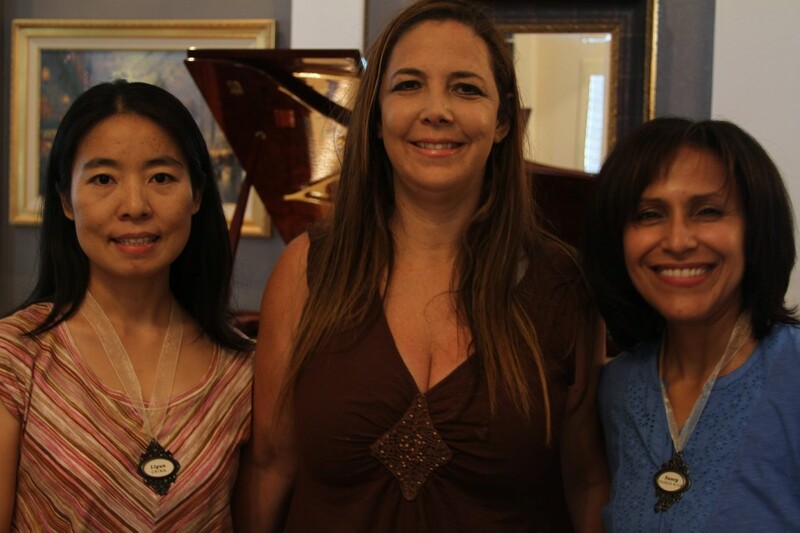 I snapped a photo of Liyun, Debra from Brazil, and Nancy before Debra had a chance to go looking for her name tag. 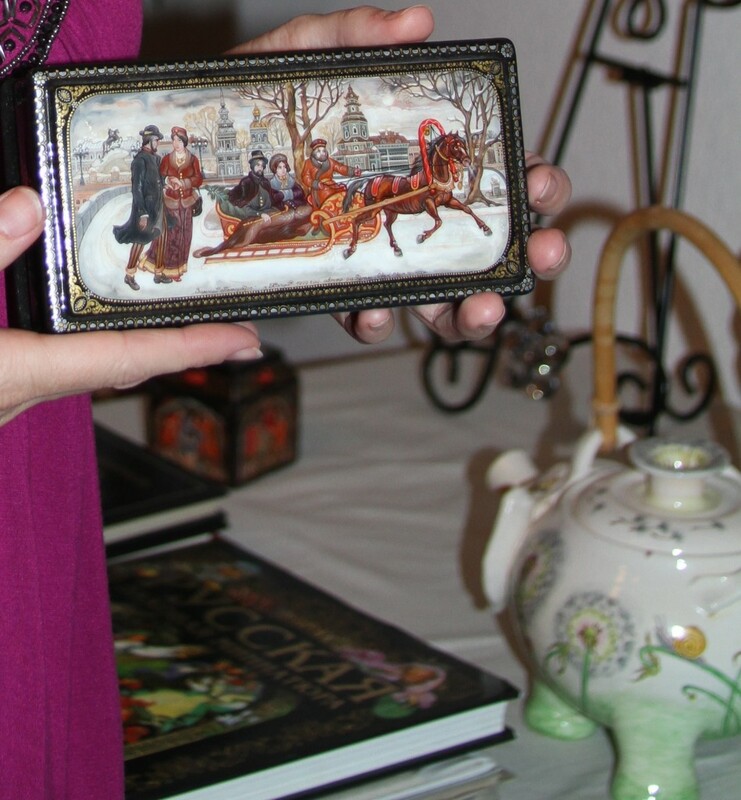 I was thrilled with the many charming objects we got to see and even hold. I must say, though, I was struck mostly by the beauty of the women themselves. Nothing could have added to the decor the way each one of them did. And I was delighted to see everyone mingling together, forming and strengthening friendships. That was the kind of beauty I had hoped would fill my home. Thank you to all who came and shared a bit of yourself and your culture with people who were strangers just a moment before! 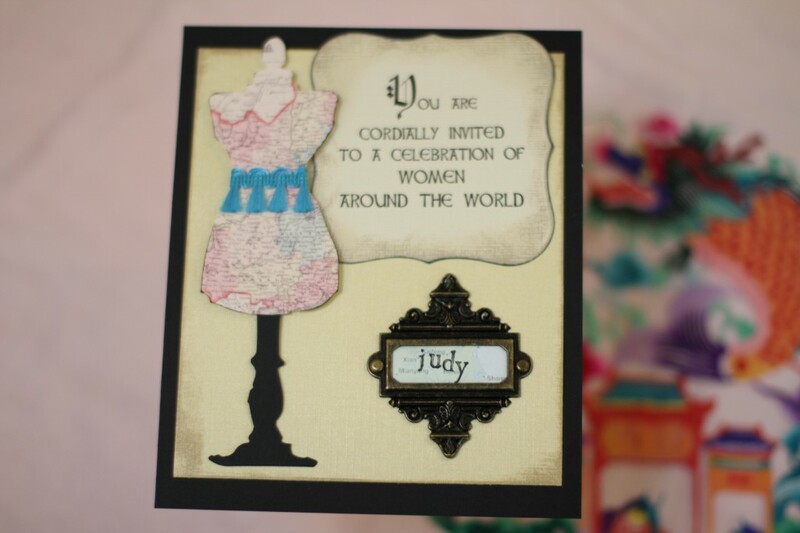 Next we’ll see these women plus a few more as we go off to the kitchen and… the dance hall?! What did I do when I realized how many women from other countries live in my neighborhood or have children that go to school with mine? I threw a party to get as many of them together as possible! 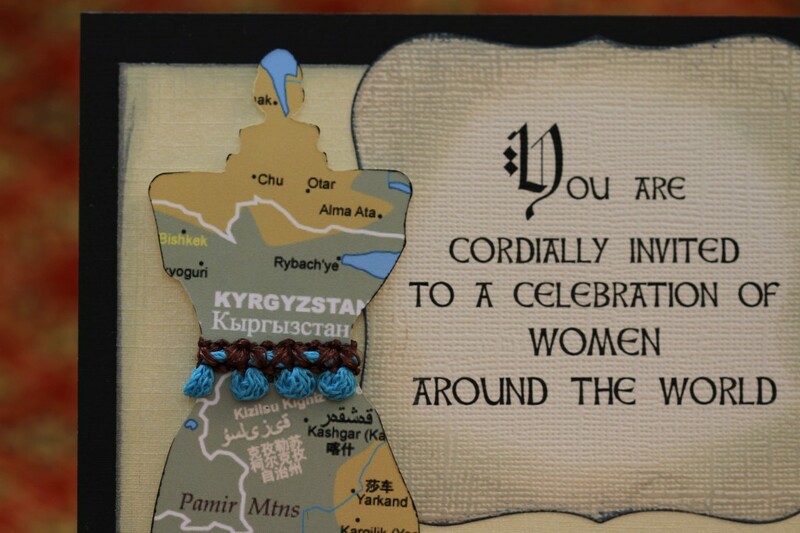 I love to make cards, so after extending a verbal welcome to women from 28 countries, plus one Native American tribe and two U.S. territories, I gave a personalized invitation to the 12 women who committed by a certain time to be there. 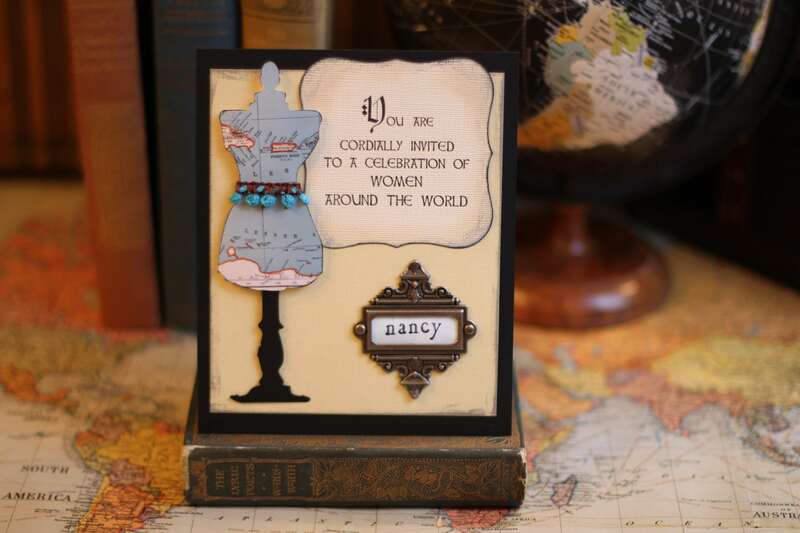 I used one of Tim Holtz’s “ornate plates” to fancy up each name, his dress form die, and a Spellbinders Nestabilities die. 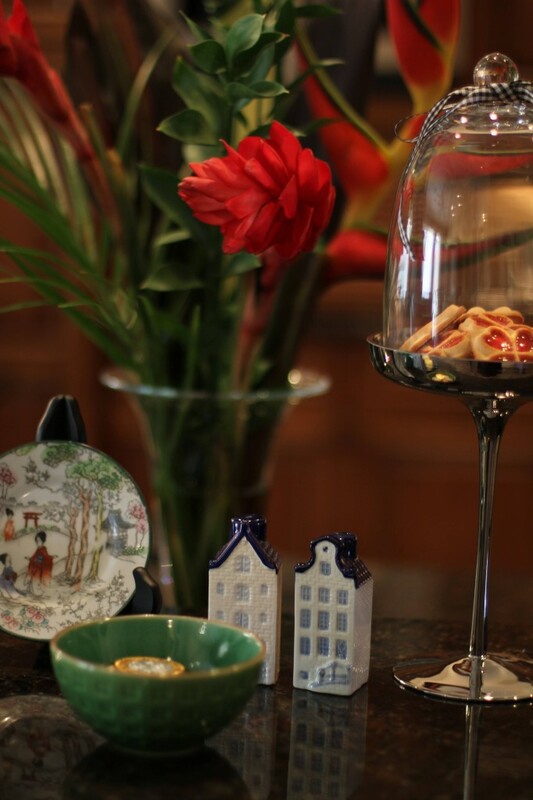 Before giving my creations away, I had fun photographing them with my Canon EF 50mm lens. Here they are. 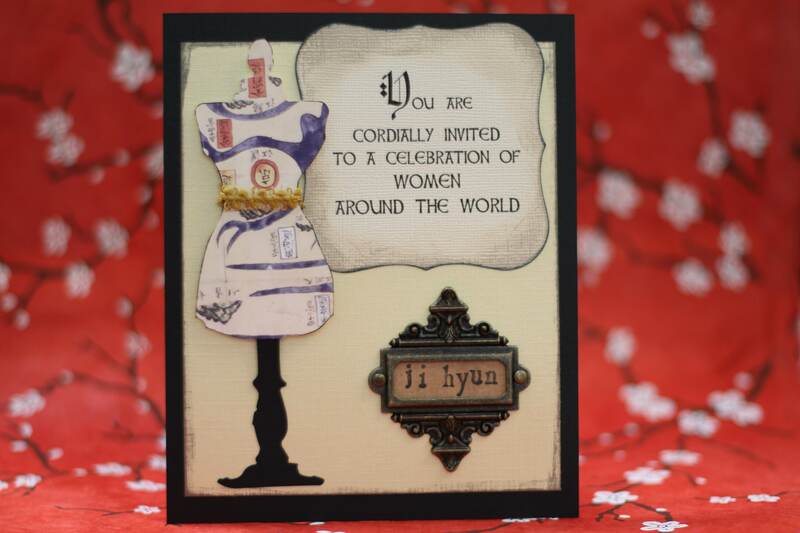 Ji Hyun is from South Korea. Nana and her daughter Maria are from Mexico. 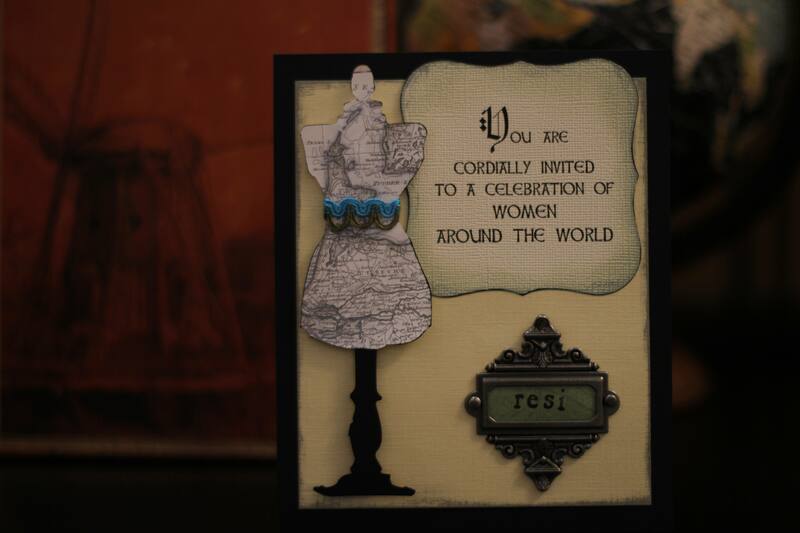 Resi is from the Netherlands. Nancy is from Puerto Rico, a U.S. territory. Michele is from Michigan. 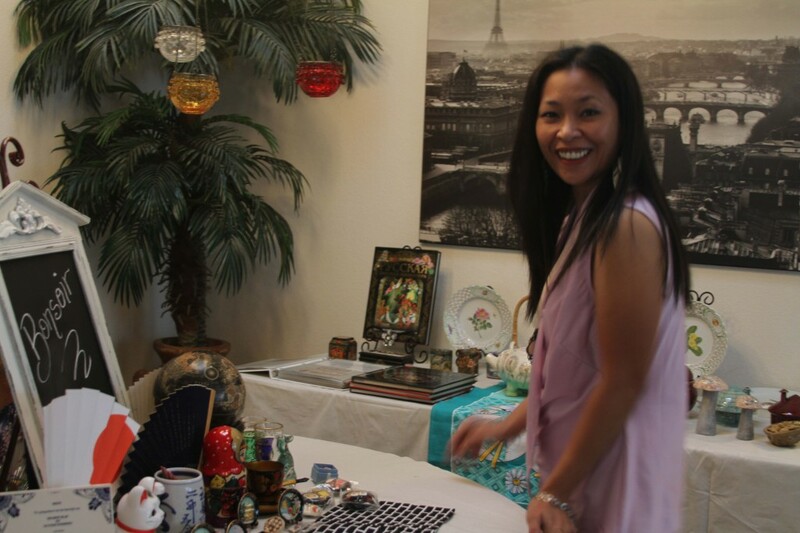 But having a Dutch husband who travels extensively and brings back interesting knickknacks from Japan and other places, I wanted her there to display a bunch of her stuff. I also needed a good friend to help me right before and during the party. So much more to share very soon.